The city of Oxford in Georgia is notable for its many historical structures. These structures were built by and for followers of the methodist faith, and the vast majority were constructed between 1850 and 1910. The town was designed by Edward Lloyd Thomas, a Methodist minister and surveyor. The town’s 125 lots were eventually sold for private ownership, and nearly all of Thomas’ structures remain standing today. One of the most notable of these structures is the Yarbrough House, which was purchased by the city of Oxford in 2007 for the high price of 200,000 dollars. The city purchased the property in order to ensure that the house remains preserved as a historical site. Unfortunately, the house has become infested with termites despite extensive and costly renovations that have been paid for with taxpayer dollars. Despite the current infestation, the Oxford City Council has recently voted in favor of spending an additional 13,000 dollars on termite control measures and restoration efforts. The Yarbrough House has proven to be a money trap for the residents of Oxford, as a costly renovation project was just completed on the house last month. A few days ago, the city council voted to spend thousands more on the home in order to eradicate its destructive termite inhabitants. Of the 13,000 dollars that the city has recently reserved to correct the termite damage, 8,500 dollars is going to the demolition of the house’s adjacent garage. The garage has become too damaged by termites to be saved, and residents are now hoping that the destructive insects have not damaged the main house beyond repair as well. However, there is no doubting the termite infestation that has been ongoing in the main house for years. 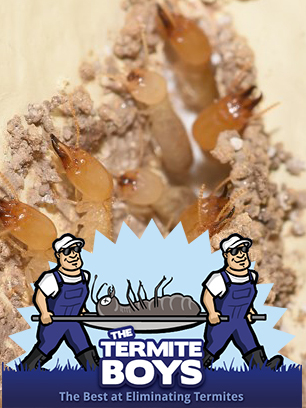 A week ago, a termite inspection determined that up to 25 percent of the house has been completely destroyed by termites. All of the damaged wood will have to be replaced. The city council is planning to convert the Yarbrough House into a community center where residents and tourists can gather to celebrate the city’s rich history. As a taxpayer, do you like the idea of spending money to replace termite damaged portions of historical landmarks in your city?